Every afternoon at 5 pm we walk down the sidewalk to the end of the beach and back We say hello to most of the people we pass, and occasionally stop to exchange air kisses with friends who we have not yet seen this season. We also keep track of what changes and what stays the same. 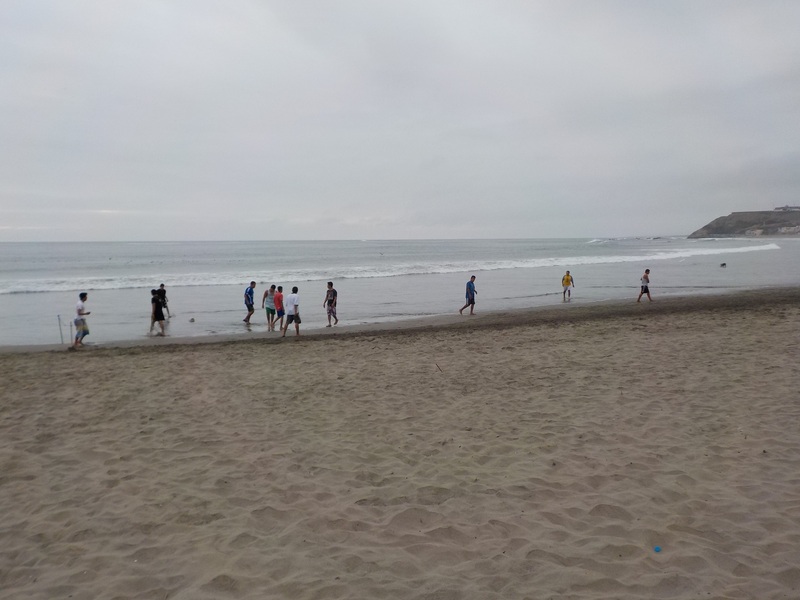 One thing that stays the same is the group that plays soccer most afternoons on the beach. Here the tide is high enough that they splashed in and out of the water. Both teams are mototaxi drivers taking a break. Sometimes there are a dozen vehicles parked along the sidewalk. Friends and family watch and chat. Working moms in Barranca often take children to work when they are not in school, or on the weekends. 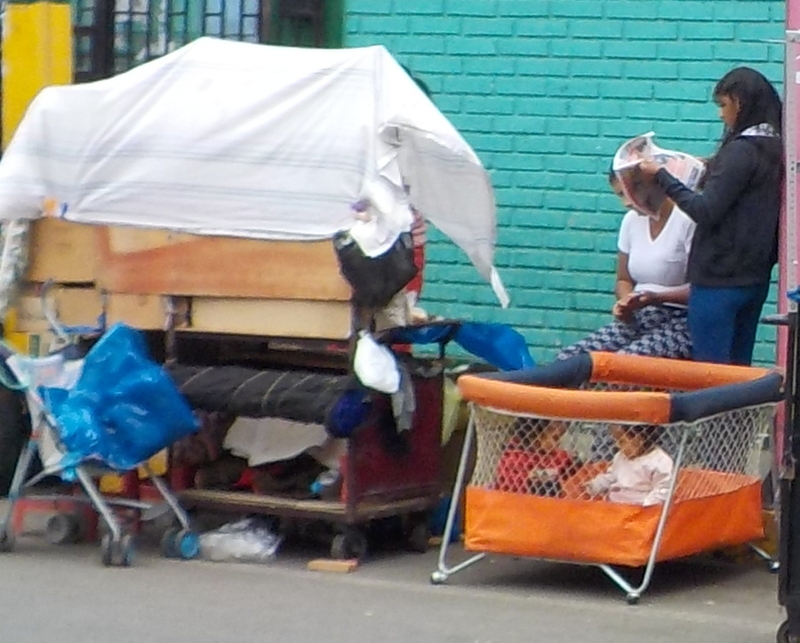 Here are a couple of women who sell goods in street stalls with their playpen set up beside them and their babies playing together. 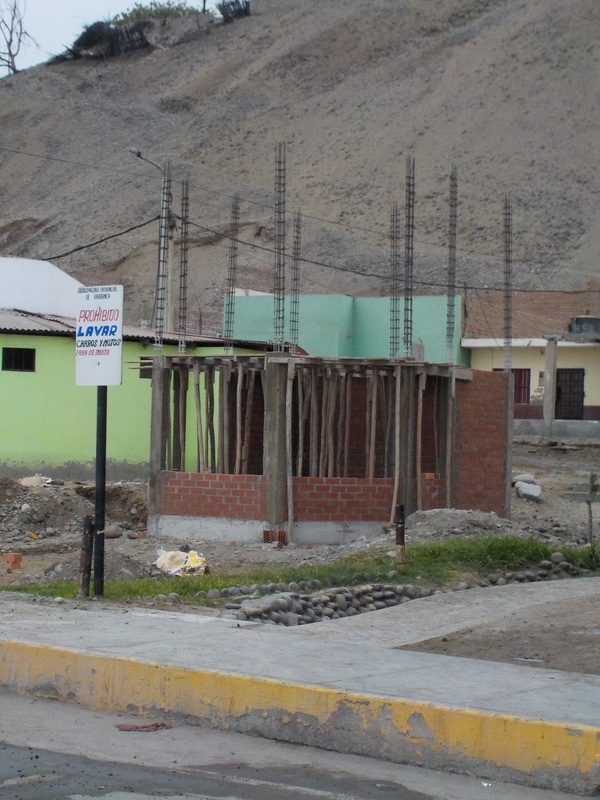 Something that is new is the construction of a very small two story house right by the public water tap, where people who have no plumbing get their water and wash their clothes. You can see the large sign “No washing cars” that is ignored. We spoke to a man working on the project who said it is a space for the local security men (Serenazgo). I’m wondering whether this location was selected so that the security people can collect bribes from the people who insist on washing their cars with the public water. Some time ago, this hole in the pavement was cordoned off as you see, shoveled out (pile in background), ready for repaving with new asphalt. Now there’s a good crop of weeds, but no sign of a road crew. 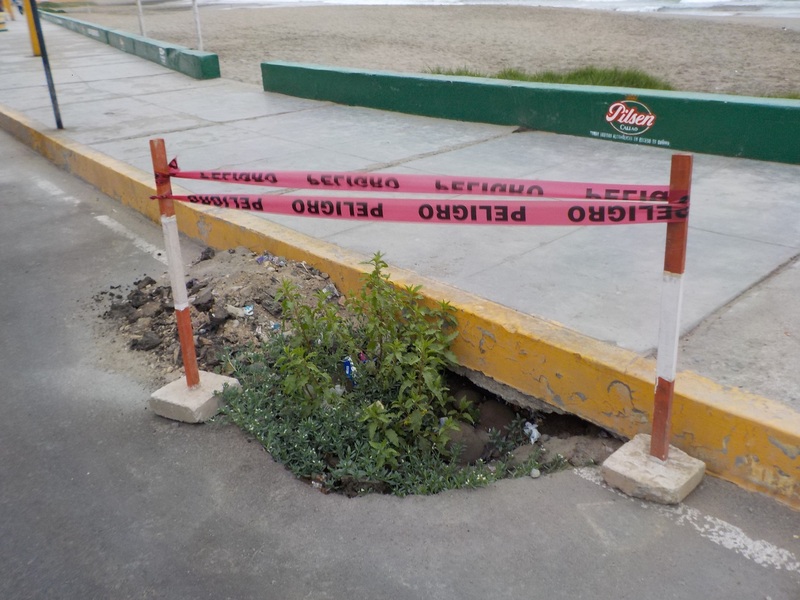 Will they come before I leave Barranca on March 1? Wait and see. There’s nothing like an unexpected procession to enliven my Saturday. 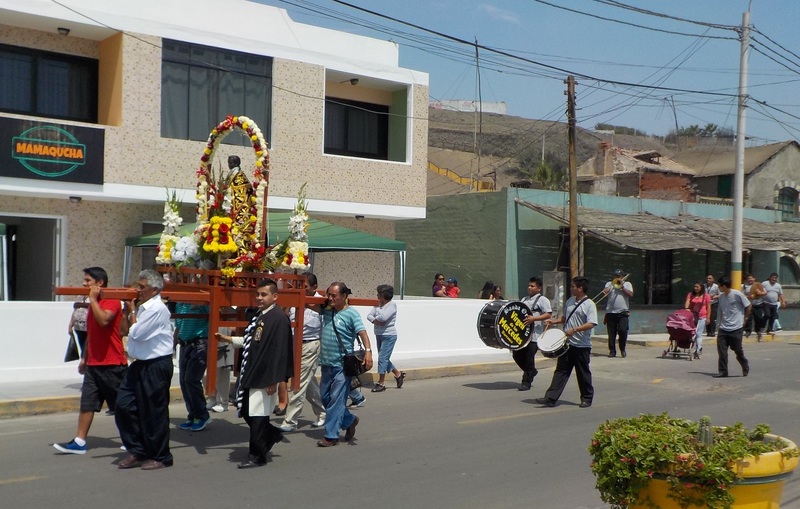 For the feast day of Saint Martin de Porres, a very important saint in Peru, there was a procession on Saturday that went up the street past our house and then back down to his shrine, set up outside the Ordonez restaurant. After the solemnities were over, there was a fiesta with food and dancing, and regular fireworks. For late in the evening a large framework for fireworks was constructed on the beach. I didn’t stay up late enough to see it, though I checked outside the front door a couple of times during the evening.